After a small uptick in November, resale prices of private non-landed homes last month resumed the mild downtrend they have been in since last July’s cooling measures, flash estimates by real estate portal SRX Property yesterday showed. Condominiums and private apartment resale prices fell by 0.8 per cent last month from the previous month. This comes after a 0.3 per cent rise in November, slightly higher than the 0.2 per cent increase earlier estimated by SRX. 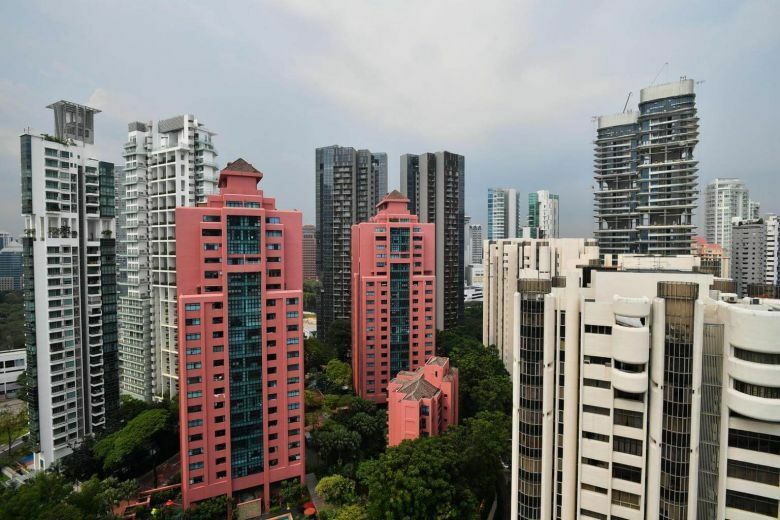 Resale prices of non-landed private homes are now down by 1.5 per cent from their peak in July last year, when property cooling measures were announced. However, resale prices are still up from a year ago, being 7.5 per cent higher than in December 2017. The cooling measures continued to also hit the volume of transactions. An estimated 479 non-landed private residential units were resold last month, a 24 per cent decrease from the 630 units resold in November. Year on year, transactions have fallen more sharply. The number of resales are down by 50.7 per cent from the 972 units moved in December 2017. Separately, SRX data showed that the premium which buyers were prepared to pay over market value stayed the same last month. SRX’s overall median transaction over X-value (TOX) was negative $10,000 last month, unchanged from the previous month. TOX measures how much a buyer is overpaying or underpaying on a property based on SRX Property’s computer-generated market value. Among districts with more than 10 resale transactions, District 27’s Yishun and Sembawang posted the highest median TOX of $21,000, while District 15’s Katong, Joo Chiat and Amber Road posted the lowest median TOX at negative $80,000. In terms of location, resale prices in the prime or core central region saw a month-on-month decrease of 1.8 per cent in December. Similarly, resale prices of non-landed homes in the city fringes, or rest of central region, fell by 0.5 per cent, while those in the suburbs inched down 0.6 per cent.